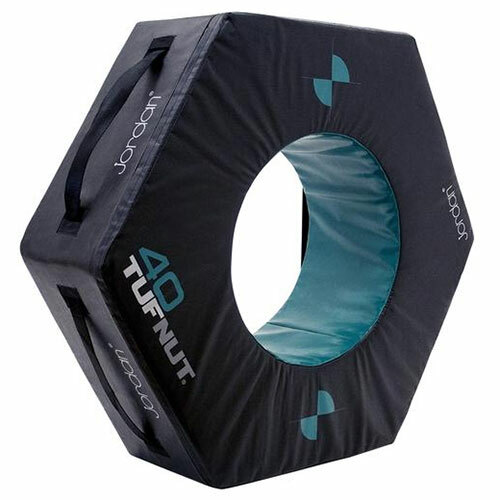 Available in 40kg / 60kg / 80kg / 100kg. Say hello to TufNut. There’s six sides to this innovative story. In fact, it’s just the right shape to help you get into the right shape. 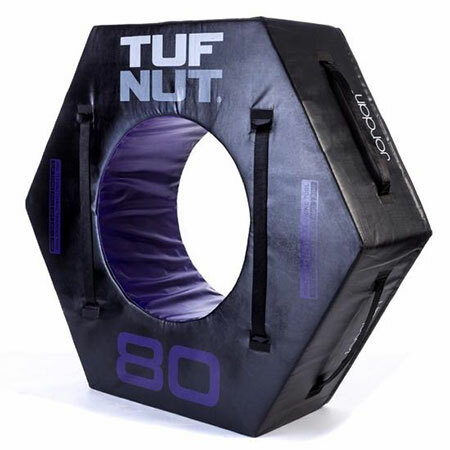 TufNut gives you all the challenge of a tyre with all the control you want. There are straps on various faces – and various weights are available – so you can jump, flip, roll, lift, push, pull and walk until your heart and muscles are content. 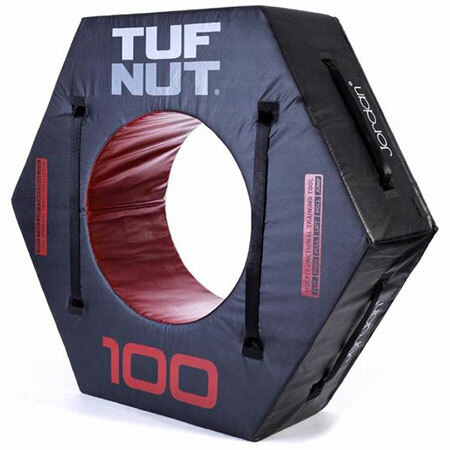 And we don’t call it TufNut for nothing. With a hexagonal sturdy steel frame surrounded by super resilient foam and covered with a strong PVC cover, it can take as much as you can give. So imagine, one bit of kit for a complete, killer workout with complete control, stability and safety. 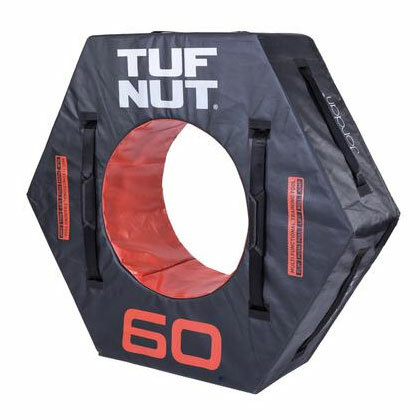 TufNut takes tyre training to a new level, indoors or out. Come and have a go if you think you’re tough enough.